Imagine If Anti-Gay American Politicians Left Office After Revealing They’re Hypocritcal Cheaters? Why Do So Many Cheating Family Values Politicos Hang at Same Clubhouse? Remember When Philandering Gov. 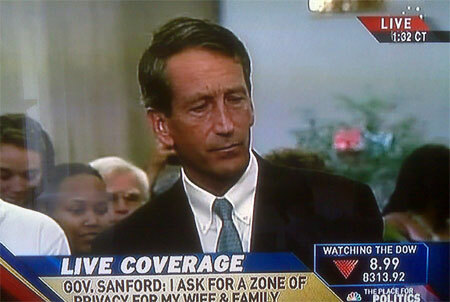 Mark Sanford Wanted to Keep Marriage for Straights? How Come It’s Always the Republican Philanderers Always Losing Their Jobs? Party Planning Public Ethics Hearings?